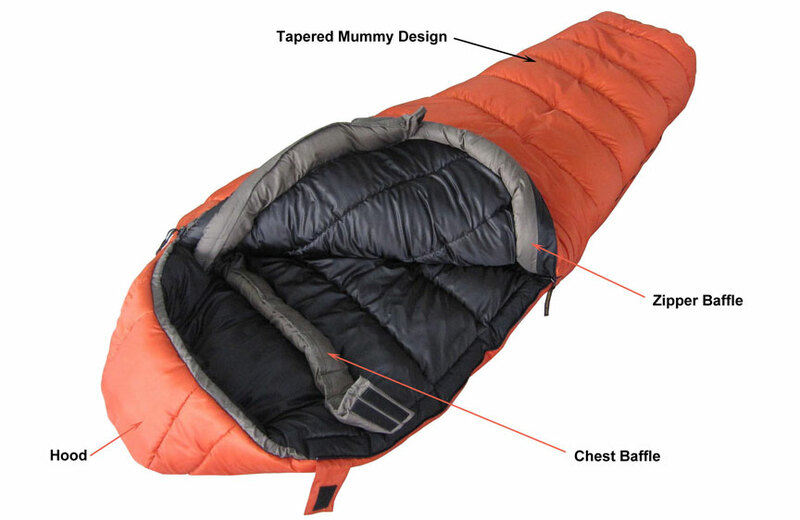 The sleeping bag is the element that will allow us to spend a night in the mountain, either in a shelter or bivouac, causing our body temperature to stay within the proper limits to achieve a pleasant and restful sleep to continue our activity the next day with sufficient strength. Next we will detail in technical way each one of the parts that compose a sleeping bag. Once you have read this article, you can read the one related to the use and maintenance of it. 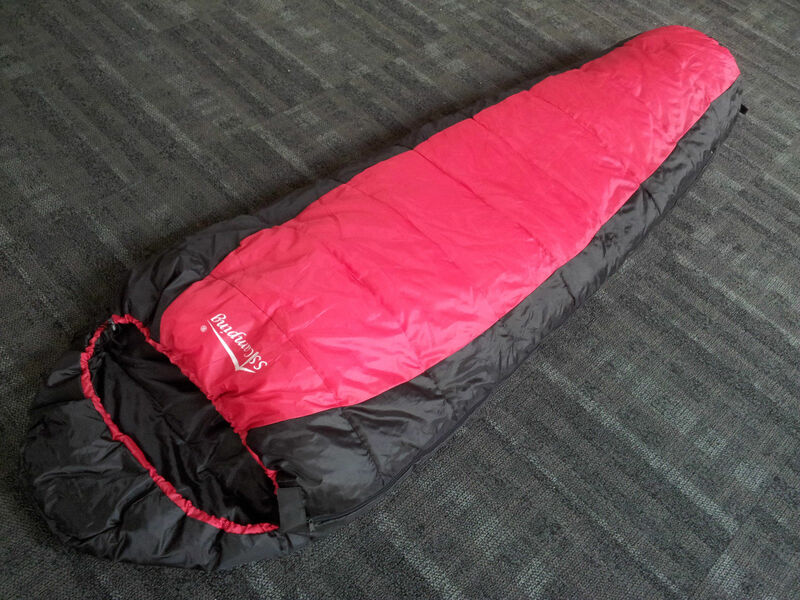 Before we continue, the first thing we need to know is how a sleeping bag works. The heat that is generated inside the sac is the very heat that we generate when we are inside. 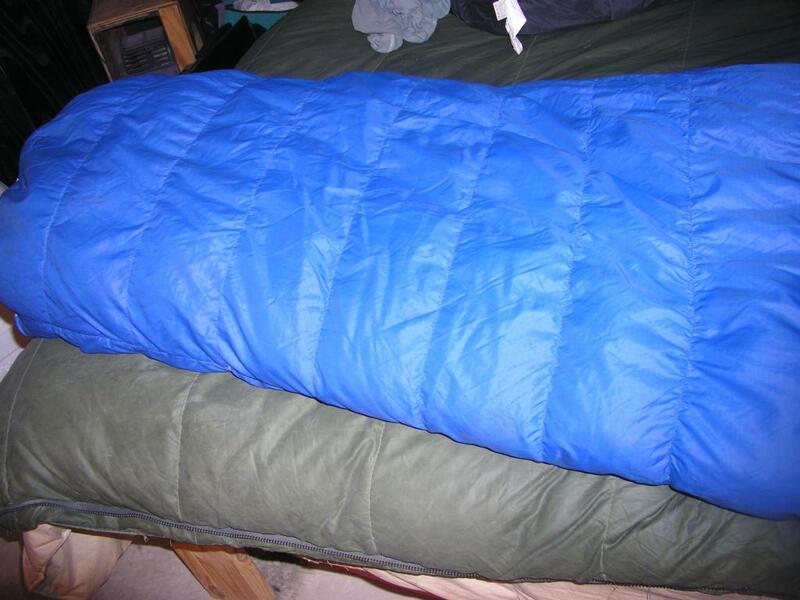 The only function of the sleeping bag is to maintain that heat and prevent its loss. Therefore, there are no “magic” bags that generate heat, or sacks that are hotter than others. How does a sleeping bag get hot? There are four phenomena that cause a sleeping bag to lose the heat of its interior and, therefore, decrease the temperature. These are evaporation, radiation, conduction and convection. 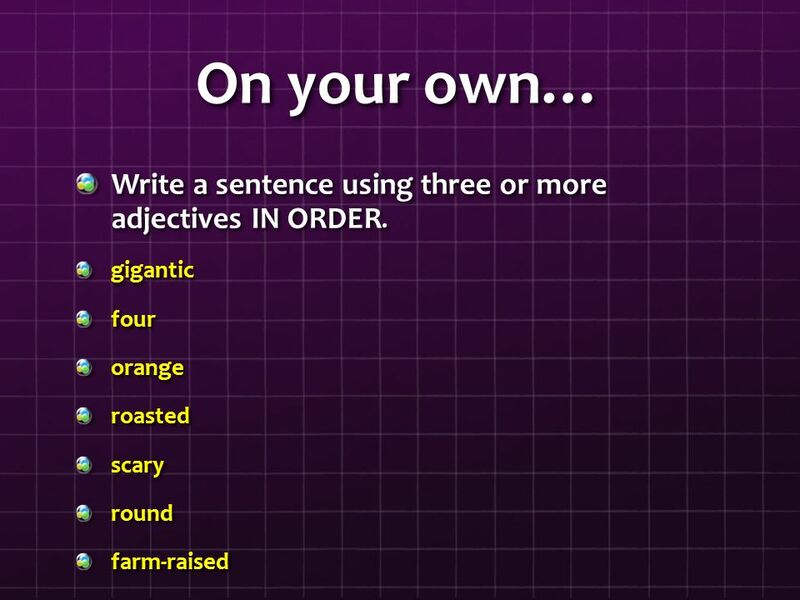 Let’s see what each of them is. Evaporation : The moisture that transpires our body should go outside the sack as fast as possible, because by staying inside we would cool down reducing the temperature of the bag. Radiation : Any body radiates heat to the outside, especially the lower the external temperature;Hence the sack must provide some mechanism to prevent that heat from the sack can escape from it. Driving : Two bodies in contact pass heat until they are even. As the ground is at a lower temperature than we are, we would be constantly giving up the heat that we generate.Therefore, a good insulator is very important at bedtime on the floor. 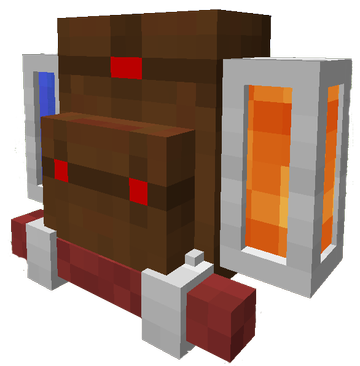 Convection : Hot air tends to escape and leave its place in cold air. Hence, the openings of the sac are another important point of heat loss inside, especially on windy nights, while on hot nights what you get is a pleasant freshness. Now that we know the operation of the bag and what are the main problems to combat, we will proceed to detail each of the parts of which they are composed, analyzing what are their functions, advantages and disadvantages. 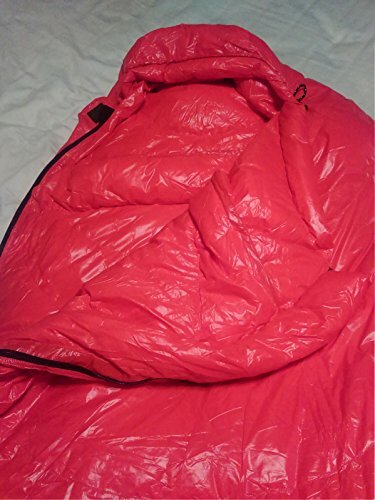 The filling material is the most important point when choosing a good sleeping bag that suits our needs, and is the one that is going to take the great part of responsibility in the final price of it. 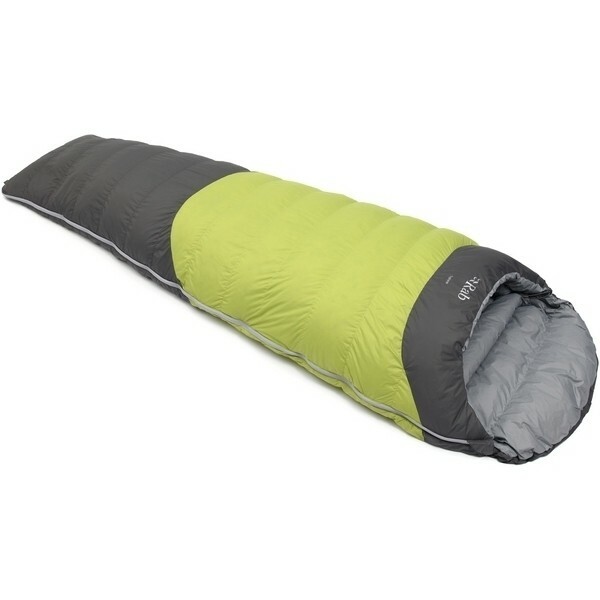 The filler material creates a layer of air inside it, which is responsible for keeping the heat inside the sleeping bag. At higher layers of air, heat retention may occur. Hence the areas where we most crush the sack with our weight, are the most prone to heat loss. We can find three groups of bags according to the filling material, such as down, synthetic fiber and cotton. We explain below the advantages and disadvantages of each one of them. It is a natural product and its performance is indisputable. It is the material that offers greater retention of heat, more lightness and better compression, although as a disadvantage has its high price and its long time of drying when using it in very humid spaces. It is necessary to know that a wet bag loses all its functionality. Usually the sacks are not composed of 100% down, but they mix it with feathers and other types of filaments that make it lose quality. The greater the amount of down, the greater its effectiveness. This relationship is expressed in the 90/10 way, which indicates 90% down and 10% feather (this would be the maximum quality that we can find of down in a sleeping bag). Always pay attention to this value, since many come with a 50/50 ratio, which will make the result not the same as much as we sell it as a down coat. But distinguish between a European and American bag, because the American standard can consider 90/10 if it has at least 89% down, while the European standard, can consider 90/10 if it has more than 81% down (so In this case would win the American). Down bags are usually advertised in stores and catalogs within the same category “bags of feathers”.Therefore, we must look at the specific characteristics to see the amount of down that each carries. There is white and gray down, but there is no difference in performance between them. There is also goose and goose down, both with the same performance, but different cuins at most (we’ll talk about it later). And if the down is better European than Chinese, since in Europe there is the gastronomic culture of the foie, reason why the animal kills at the age of three years to collect the fat of his liver, being this down of rather more quality than The Chinese, who usually kill at three months. 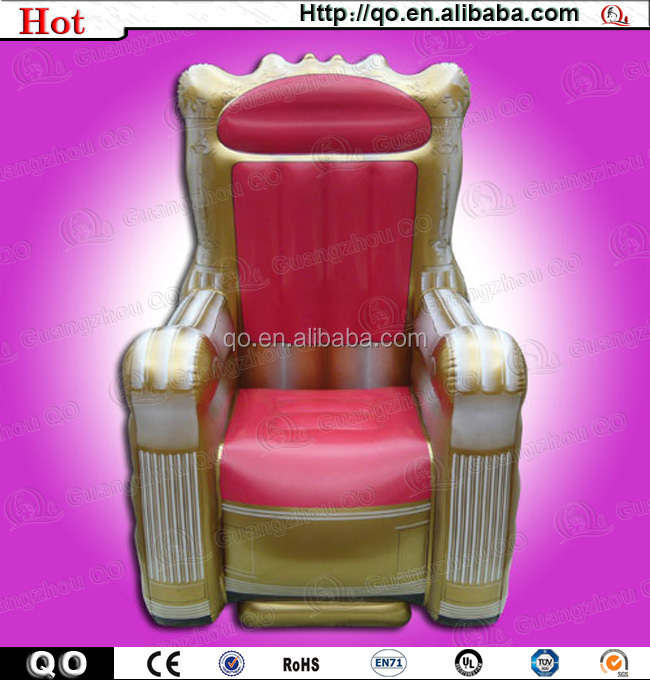 It is a non-natural product with a very similar performance to down, normally made with polyester fiber. Its biggest advantage is the price and its fast drying time, that is, it works best in very humid environments. As inconvenience has its greater weight and worse compression. Each manufacturer has its own synthetic fiber, with its technical name, here we do not want to analyze them all. There are many internet pages on which you can compare them once you know which are the ones that own the bag that you are looking at. 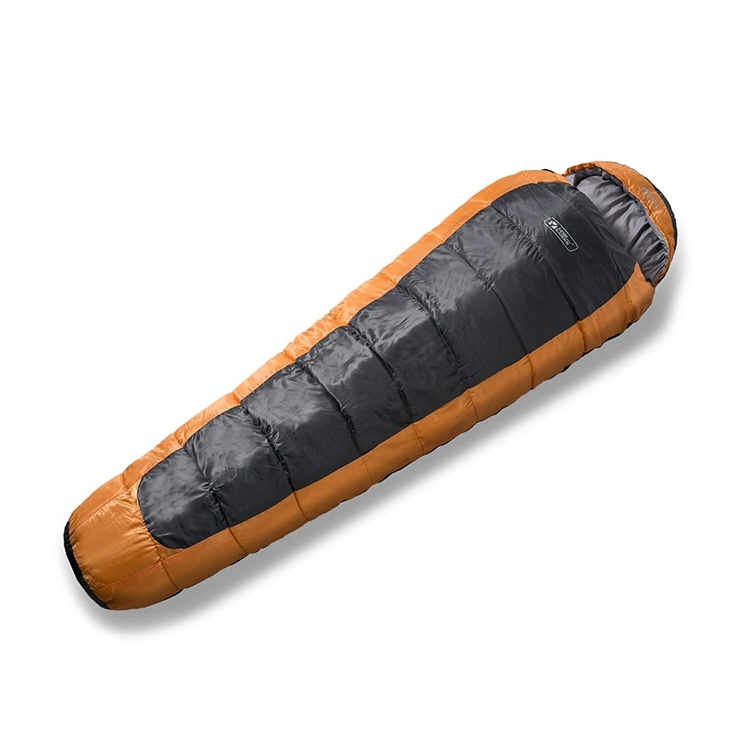 For the mountain we will never use a cotton sleeping bag despite its softness and good moisture absorption capacity generated by perspiration. Cotton sacks are very heavy, and when cakes can be difficult to unpack. Therefore, they are only recommended for camping, so we will not discuss about them in this article. The amount of filler is the one that is going to fix the capacity of retention of heat of the bag, so that the more filling, the greater the temperature that the bag can retain inside. But we must take into account that it does not hold the same 1 kg of down than 1 kg of synthetic fiber, although many of them can get almost similar results. Therefore, this feature will always match the type of filler described above. The total weight of the bag is also an aspect to take into account when we carry it in our backpacks and perform a trekking. Although to a greater extent the weight is given by the amount of filling that the sack has, it will also have to be added the outer fabrics, zippers, compression sack, etc., detailed accessories Commit4Fitness.com. The partitioning refers to the distribution of the filler material along the bag. All partitions have in common to divide the sleeping bag into small areas separated from each other in which to introduce the material. This is done so that the down or fiber does not pile all in the same part of the bag, and thus is evenly distributed. On the one hand, the filling of the filler, on the other hand, is the beginning of another point of heat loss, since the seams to make the different areas of the fence will not have filler material that prevents the loss of heat . Manufacturers use different types of partitions to avoid this problem. Here, aesthetics often masks functionality. Normally, many partitions, or asymmetrical partitions, signal a careful design and performance, especially in light garments. A very fine fabric will obviously be lighter, so we will gain in weight, but it can be less resistant and let through the filler material, so we will have to be more aware of its care and handling. In addition, a fabric is usually poorly resistant to moisture, although it allows faster drying and better evaporation.The density or grammage of a fabric is measured in Deniers , the mass in grams per 9,000 meters of fiber, usually indicated by a number followed by a “D”. The compression capacity measures how much the filler material will reduce. This factor, together with the compressibility of other materials (such as the outer fabric), will determine the final volume of the folded bag, which is very important when transporting it inside a backpack. As mentioned earlier, the down has much more compressibility than synthetic fiber. The sacks usually come with a cover where you can store and carry it more comfortably. If this sheath also has tapes for compressing the bag, it is called a compression sheath. It is important to note that the bag should spend as little time as possible inside a compression sleeve (only during backpacking), however, we will treat the subject of maintenance and care in a separate article. Why are bag sizes so important? A sack too large will make a much larger interior air layer and it will cost us more work to heat it. At the same time, a bag too narrow will not allow us to move freely (hurting our rest), nor that we can store objects inside (such as personal items or drums of water on very cold nights). Therefore, the best solution is a custom bag, but this will make the final price more expensive. Rectangular : They are very spacious and comfortable if we use them to sleep in very warm areas, since we can open them completely and use them as a blanket. But nothing recommended on very cold nights. Mummy : As far as insulation and other properties are concerned, this is the most effective way, since it will weigh and occupy less. 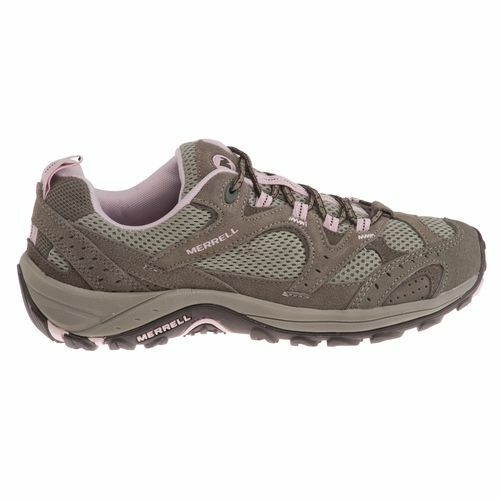 Its shape fits the body: kneeling down is narrower, in order to have less volume of air to heat and without being too tight so that the feet do not overcompress the insulation layers and lose heat. The zippers should be resistant to stress, dirt, wear and cold. They should be able to open the sack in both directions (neck or feet) to be able to fan it, as well as from both sides (from outside or from inside). It is the weakest point in the construction of the bag, since it is an important point of heat loss, so that the bags of greater performance bring a kind of collar or thermal band along the whole zipper, even with the Same filling material as the rest of the bag, to avoid such losses. The hood can vary from a summer sack to a winter sack. For a summer sack hoods are usually wider and open, while for a winter sack it is better to have a tighter hood that does not allow air to enter, ie heat loss by convection. On colder nights, we would appreciate that the hood has its own filling, as well as elastic bands that allow a better fit to our head. 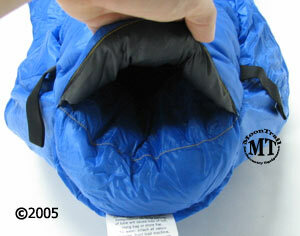 The collar is placed at the level of the neck in the sleeping bag, just below the hood, and its function is to prevent air from entering the sac and lose heat by convection, especially by the back. 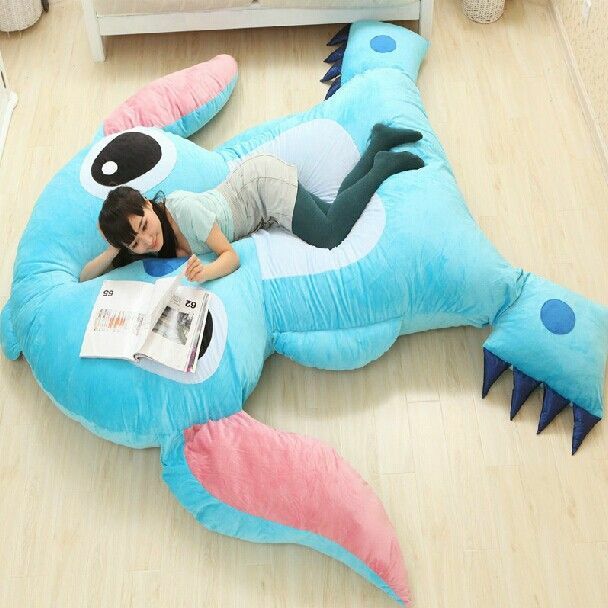 Usually comes with some kind of cord inside to adjust it once we find ourselves in the sack. According to the European standard EN13537 on requirements of sleeping bags, all must show in their labeling 4 temperatures: the maximum maximum temperature, the comfort temperature, the limit temperature and the extreme temperature. These temperatures are obtained from tests performed with different dolls and simulating the meteorological conditions, hence they serve only as an orientation. It is important to keep in mind that each person’s metabolism is different, and their resistance to cold is also different. The extreme temperature is one at which a woman can hold up to 6 hours without danger of death from hypothermia.